A study carried out by Unimore researchers, in collaboration with Swedish and US peers, opens attractive prospects for non-invasive diagnosis and prognosis of renal cancer. 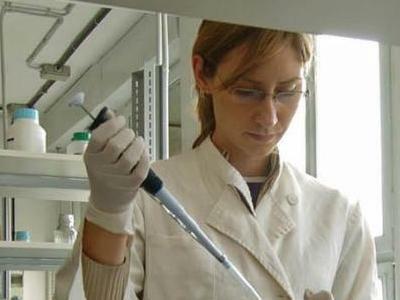 The main characters of the study, which started in 2016 and ended in 2018, are the members of the research group of the Laboratory of Biochemistry and Glycobiology of the Department of Life Sciences of Unimore, namely dr. Francesca Maccari, dr. Fabio Galeotti, dr. Veronica Mantovani, and dr. Federica Capitani. The group is coordinated by professor Nicola Volpi. As professor Nicola Volpi of Unimore explains, Our study shows that plasma glycosaminoglycans, namely biomolecules with an extremely complex structure, can be used to diagnose the presence of clear-cell metastatic renal cell carcinoma with accuracy. In addition, the presence of these molecules relates to the prognosis of this form of cancer and therefore with the likely trend of the illness after surgical treatment. Clear-cell renal cell carcinoma is the most common form of renal cancer, as well as the ninth most common type of cancer in the western world, causing around 90,000 casualties globally every year. At present, this type of cancer is mainly asymptomatic and cannot be diagnosed at an early stage. In addition, according to the estimates, at the time of diagnosis the 20-40% of all cases have already reached the metastatic stage, which is considered invariably incurable. The surgical treatment is generally carried out on non-metastatic patients. However, about 20% of all these cases reveals a relapse within 5 years after surgery, with metastasis and further limited therapies. Professor Nicola Volpi continues by stating that Despite these figures and the high incidence of this form of cancer, there are no validated clinical parameters that can be used to monitor patients with a high risk of relapse. The introduction of biomarkers that are minimally invasive in the clinical routine may help early diagnosis and the prediction of relapse in patients subjected to surgical treatment, all cases for which greater opportunities of therapies may be expected. In this study, the researchers of the University of Modena have considered whether plasma glycosaminoglycans may be a sensitive and specific marker in detecting the clear cell renal cell carcinoma, other than predicting its relapse after surgery. The study was carried out in accordance with STARD and REMARK standards, and registered on ClinicalTrial.gov with no. NCT03471897. Overall, the study was carried out on 218 patients suffering from clear cell renal cell cancer before surgery and after surgical treatment. After excluding those not meeting the selection criteria, 194 patients were studied. Professor Nicola Volpi of Unimore concludes by saying that the results attained show that glycosaminoglycans are highly sensitive diagnostic and prognostic biomarkers, able to ensure early diagnosis, prediction and monitoring of relapses in this form of cancer. This study comes after a first work entitled  Glycosaminoglycan Profiling in Patients' Plasma and Urine Predicts the Occurrence of Metastatic Clear Cell Renal Cell Carcinoma  published in 2016 on the prestigious journal Cell Reports. The identification of plasma glycosaminoglycans developed in the Laboratory of Biochemistry and Glycolobiology of the Department of Life Sciences, is enabling dr. Francesco Gatto, who is currently working at the Chalmers University of Technology di Göteborg (Sweden) and is the first author of the work, to develop a diagnostic test able to early detect the various types of cancer and predict its evolution, with the objective of treating them at early stages when the treatments available are more effective. As a consequence of these studies, the MIT Technology Review journal has given dr. Francesco Gatto the important award of Innovators under 35 Europe 2018. Nicola Volpi is an associated professor of Biochemistry. He is the author of seven books on topics of Biochemistry for Italian students and graduates, and of 4 international volumes as Editor. He has written 187 works on international scientific journals with an overall H-Index of 35 (www.scopus.com). He has also published 15 reviews (www.ncbi.nlm.nih.gov/pubmed) and more than 100 abstracts and communications at National and International congresses. He has obtained several public and private grants. His main scientific interest is the study of complex carbohydrates such as glycosaminoglycans, oligosaccharides, proteoglycans and glycoproteins.